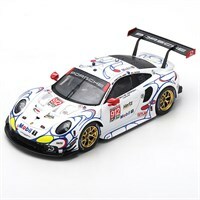 Spark 1:18 resin model of the #911 Porsche 911 RSR as driven to victory by Patrick Pilet, Nick Tandy and Frederic Makowiecki in the 2018 Petit Le Mans GTLM. 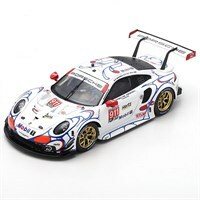 Spark 1:43 resin model of the #911 Porsche 911 RSR as driven to victory by Patrick Pilet, Nick Tandy and Frederic Makowiecki in the 2018 Petit Le Mans GTLM. Spark 1:43 resin model of the #912 Porsche 911 RSR as driven by Earl Bamber, Laurens Vanthoor and Mathieu Jaminet in the 2018 Petit Le Mans.